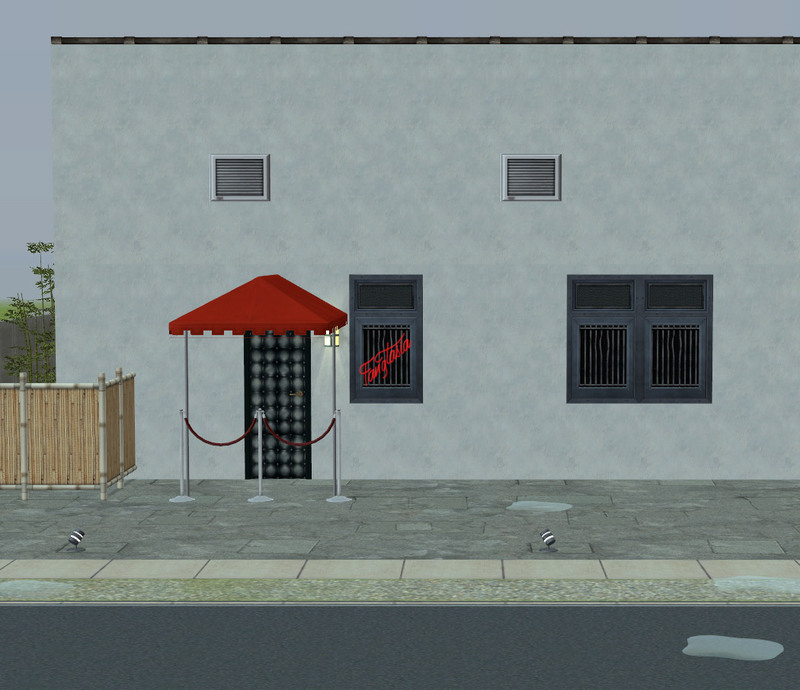 Sign v.1: Has nice smooth edges but is glitchy in some windows. See attached pic. Sign v.2: Works in all windows but has jagged edges. See attached pic. Feel free to make new signs as recolours. Go nuts! It's a flat rectangular alpha-mesh so your sign can be anything! You can change the glow colour by changing the stdMatDiffCoef and stdMatEmissiveCoef values in the Material Definitions (TXMT) of your recolour. (They're RBG values - Red, Green, Blue.) 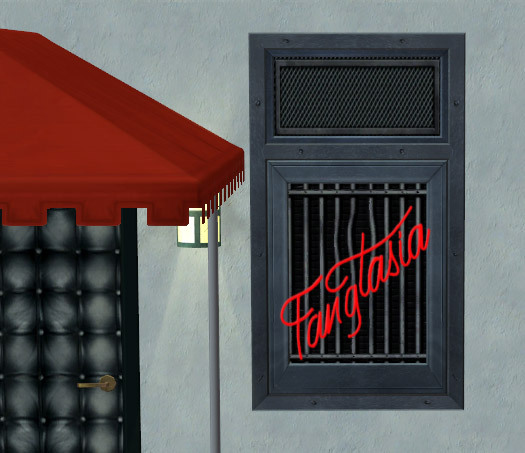 Just please don't go making non-red recolours of the Fangtasia sign itself, lest Fangtasia's owners seek you out to get revenge for messing with their logo. 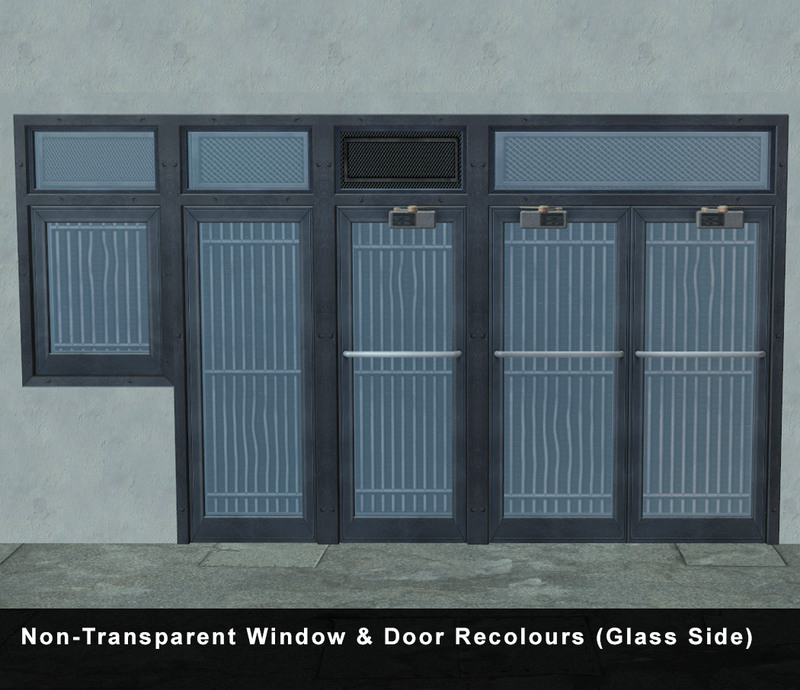 The Window and Door Recolours: There are 3. 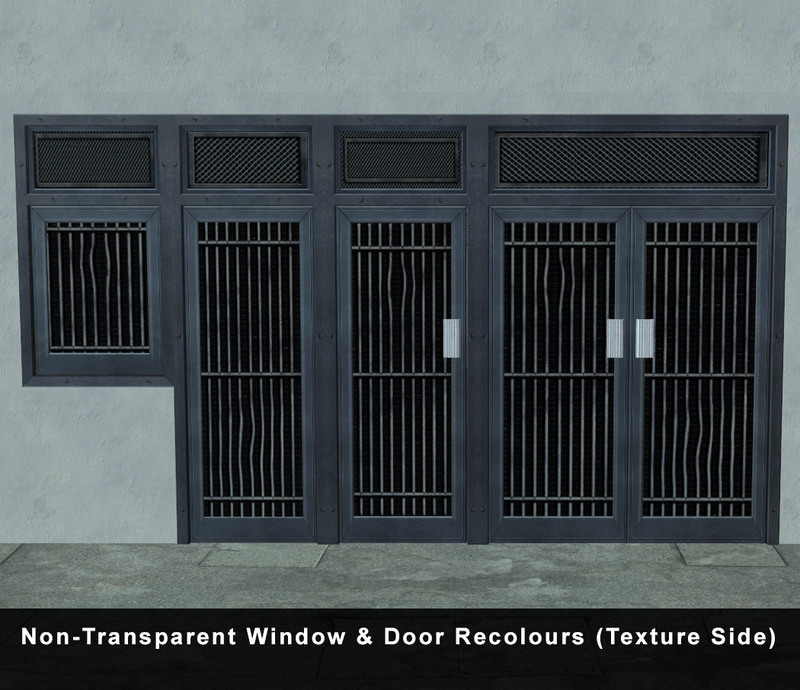 One recolours the basegame "Independent Expressions" window, one recolours the basegame "Independent Expressions" double-door (plus Lee and HugeLunatic's addon windows), and one recolours the "Gone Legit" single door - which matches but has a different name for some reason. 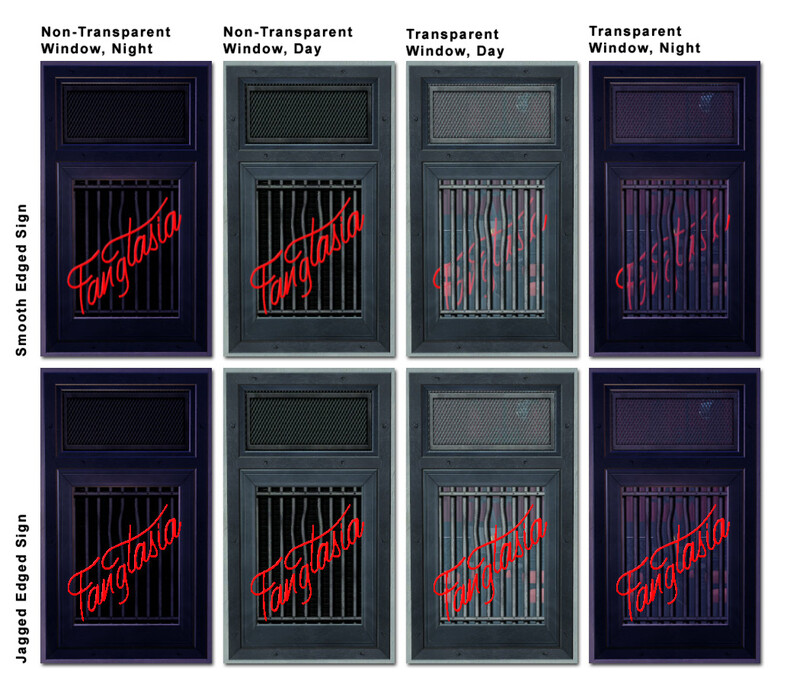 I think that single door came with Nightlife, so if you don't have the single door just delete that recolour. What is "faux" about the Windows/Doors? 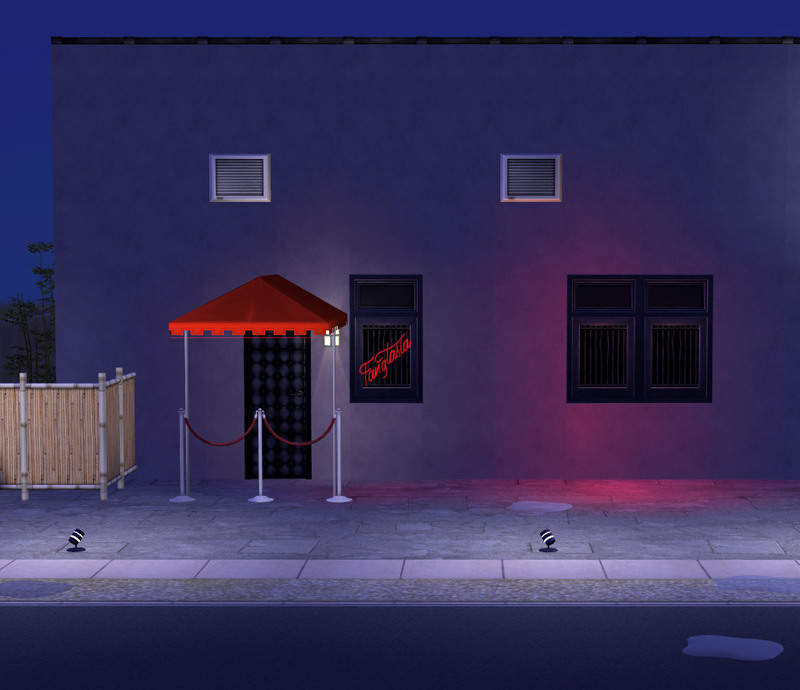 Well they're blacked-out (non-transparent) in order to work with the smooth-edged sign and look appropriate in a vampire club. But they still let light through, so aren't really blacked-out. Oh so faux. GINORMOUS THANKS TO: NixNivis, DutchXfan, Honeywell, and Lee for their invaluable help with this project. Leefishers are the BEST. 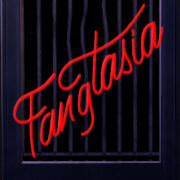 Also, thanks to Sunni for the padded door in the pics and to whoever designed the Fangtasia logo in the first place - I copy/pasted that from a pic and can take no credit for it. 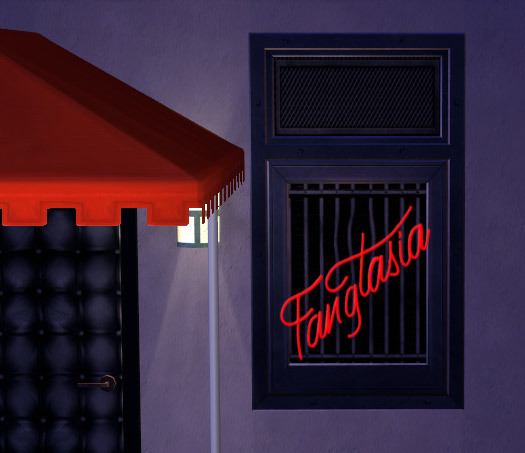 Thank you fansee, it looks "Fangtastic"
I'm going to download this, not because I need or will ever use it as intended, because I really want to check it out in game. Also don't be surprised to see it show up in the background of some of my screenshots. I think all the work and effort has paid off it looks great. Thank you. BTW fansee is it going to be listed with the Coffin Crew stuff? Lee Wrote: Thank you fansee, it looks "Fangtastic"